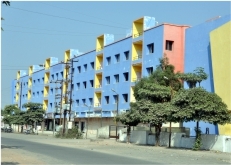 Ambe School Campus, Opp. Sun City, Nr. Darbar Chowkadi, Manjalpur, Vadodara – 11. It has 86 rooms, a built-up area of 30,000 sq. ft.